Are you ready to conquer the earth? 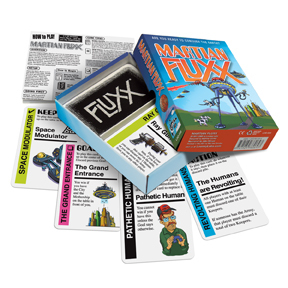 Martian Fluxx is a classic monster story in ever-changing card game form. It's an Invasion from the Planet Mars! The players are the Martians determined to destroy the Pathetic Humans who are keeping them from winning. It's got Flying Saucers, Giant Tripod War Machines, Tentacles, Ray Guns, a Mothership, and of course, a Space Modulator. Be careful - you don't want your Humans escaping from the Abduction Chamber! 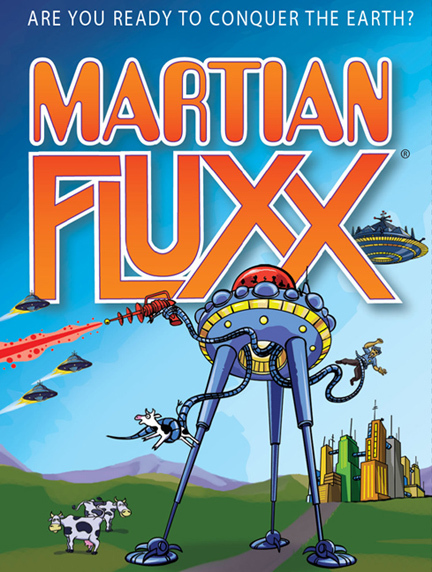 Grab a cow and keep your tentacle on the Space Modulator – Looney Labs scores another hit with Martian Fluxx! 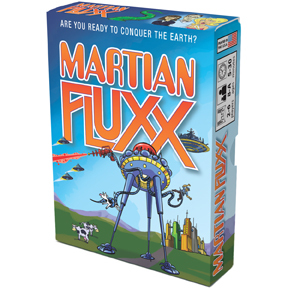 Grab Your Tin Foil Hats, Martian Fluxx Is Coming! Martian Fluxx -- a Creepy version of the game!